Physiotherapy triangles made of foam. 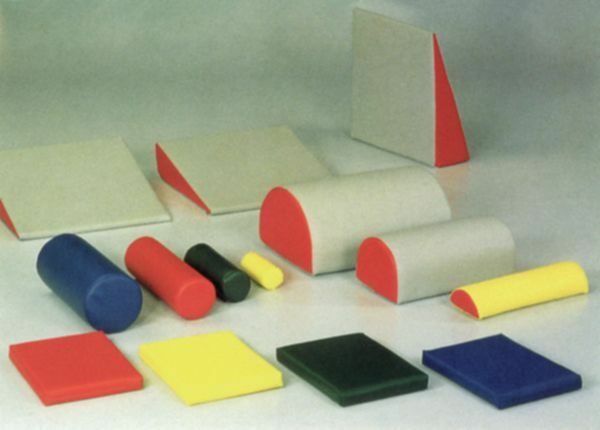 Physiotherapy triangles made of foam Rubber, lined with synthetic leather in various colous. It has removable cover with zipper. Custom made in different sizes.